I love the Dole Whip, but I love pineapple so much! How about 'Philharmagic' at Magic Kingdom or 'Muppets 3D' at Hollywood Studios? Belle in her blue dress or Briar Rose in her black and grey dress? Being forced to watch Mulan II or Atlantis: Milo's Return? Mulan II. I like the girl power. Sophia the First or Doc McStuffins? Doc McStuffins ~ Smart girl! Be Our Guest Restaurant or Cinderella's Royal Table? That's a tough one as I really loved them both, but I am going with Cinderella's Castle. Beauty and the Beast soundtrack or The Little Mermaid soundtrack? 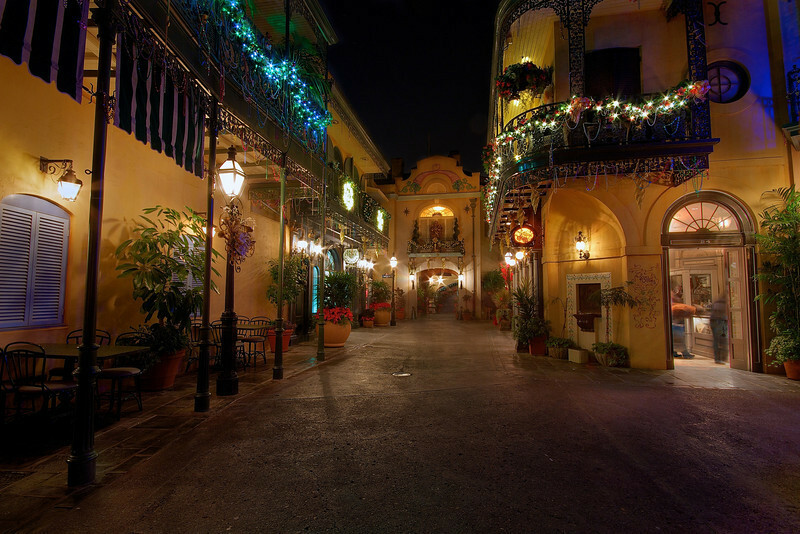 New Orleans Square or Liberty Square? N.O. But only because I have never been to the later. Westward Ho! I like the rustic feel! A trip to Tokyo Disney or to Hongkong Disneyland? Hmmm, either would be a good trip! I'd pick Tokyo though! Popcorn or Candy at the movies?! McDonalds ~ the best fries in the business! Splash Mountain or Big Thunder Mountain Railroad? We did everest and the matterhorn on the same day (we are crazy people who did 6 disney parks in one day on our xmas trip). rougher than space mountain (WDW version). DL - Nemo submarine voyage or WDW the seas with Nemo?